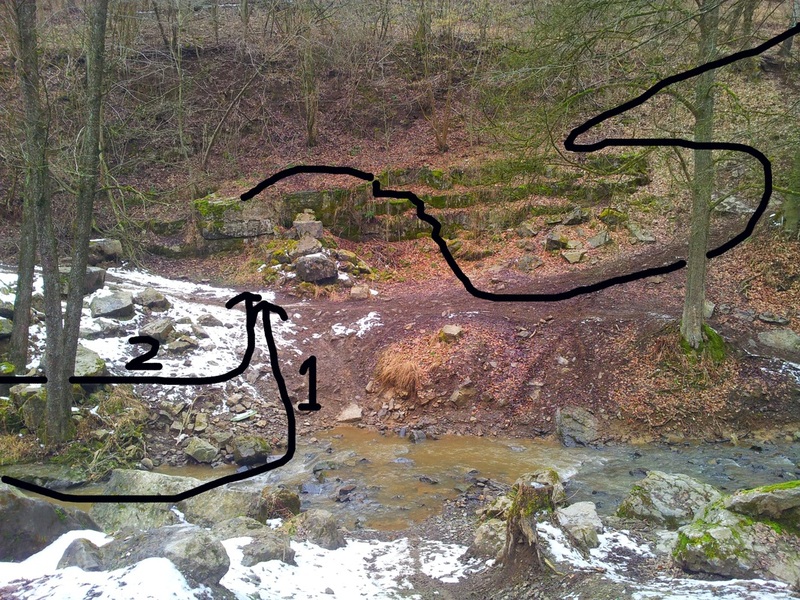 Here are some of the clearest photos of the Bilstain step. Thank you Rene Opstalls for sending these to me. This name will be familiar to many of the trials followers reading this. 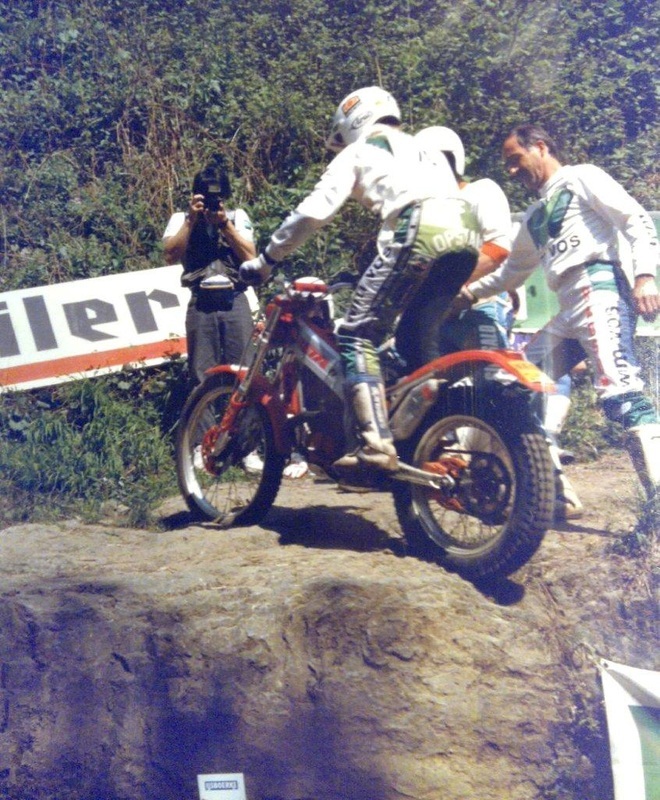 Rene campaigned in the Trials World Championship from 1989 untill 1995 in addition to the Trials des nations and the Scottish six days trial. He was sponsored by Beta and GasGas. 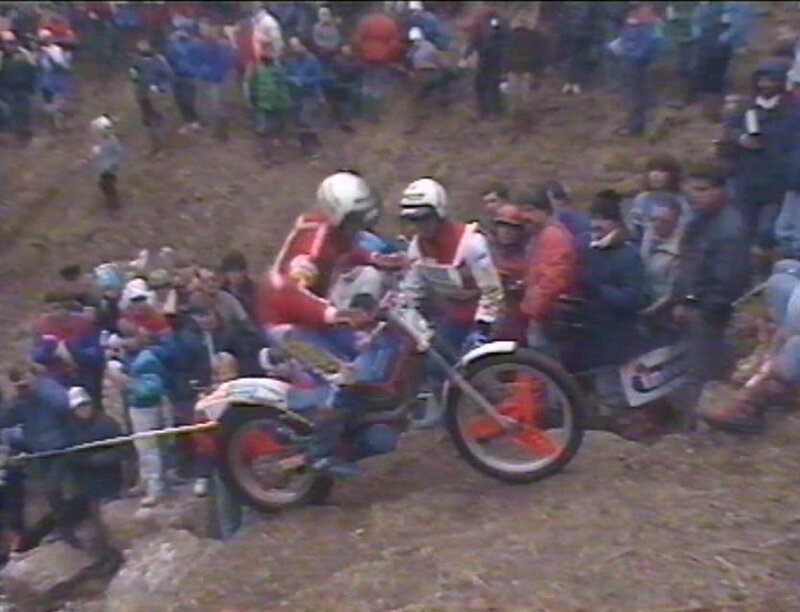 I certainly remember him, particlarly because he wore the trials clothing with the name "Wim Vos" on it. This haulage company was Rene's sponsor. Rene has sent me a lot of information and many photographs , so i will be including a report on this seasoned campaigner shortly. Then , just like seeing words appear in a word search , the section was there in front of me. It was brilliant. 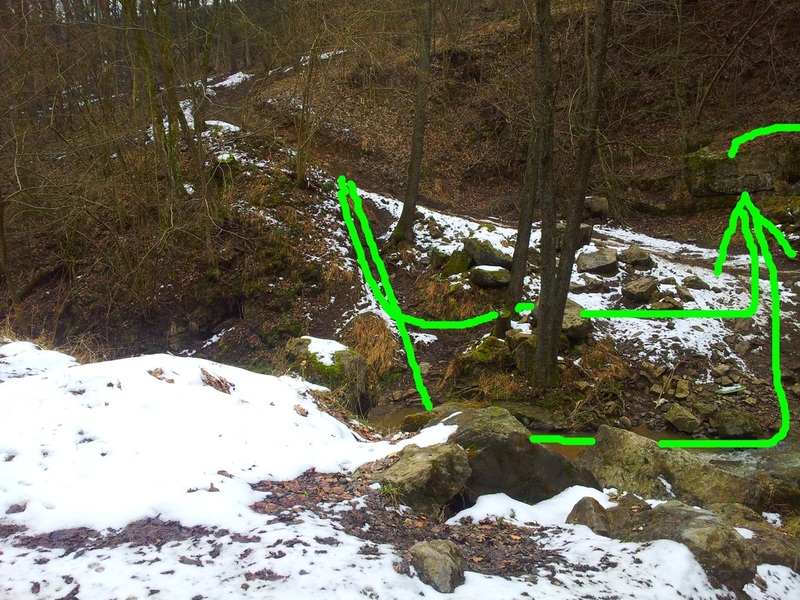 Here is the section as it was ridden. so many times. 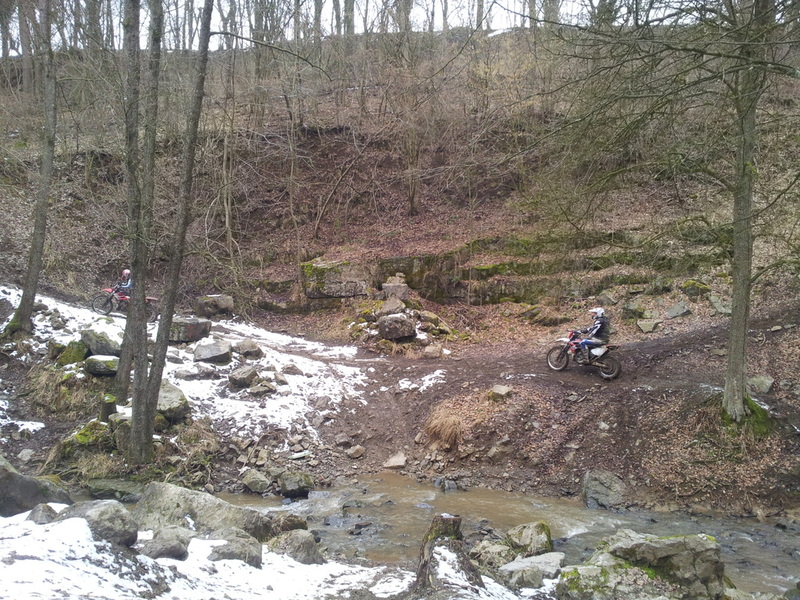 Heres the same picture but with some Enduro riders riding past to put the size into perspective.. Philistines - They have no respect for Holy ground ! 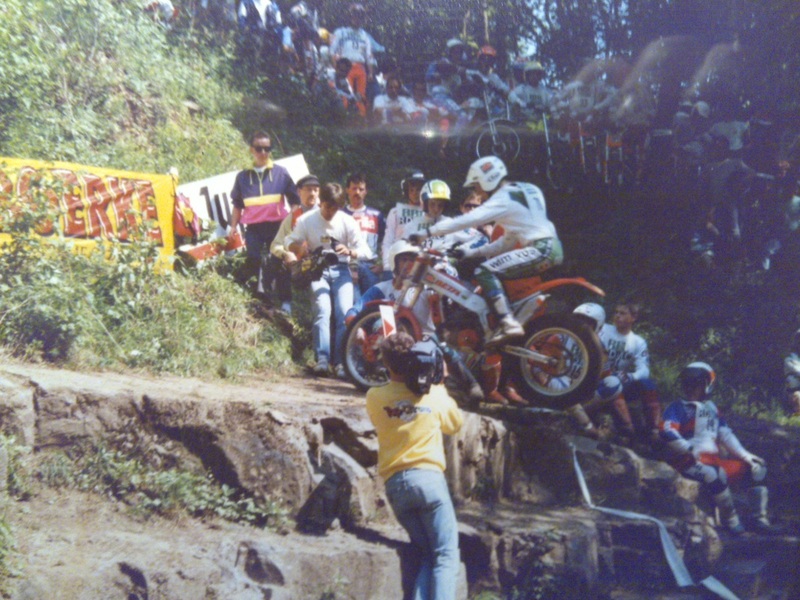 The riders point of view ----------- Back in 1987 , you would drop down the bank , turning sharp left. Then its time to open the throttle and stick to your agreed line. 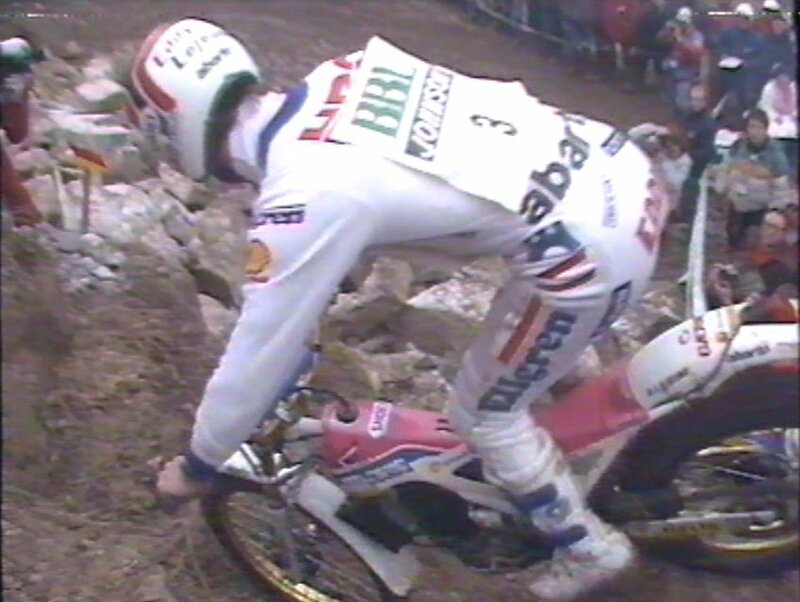 Even today the rocks embedded into the mud of the Step approach look super slippery. 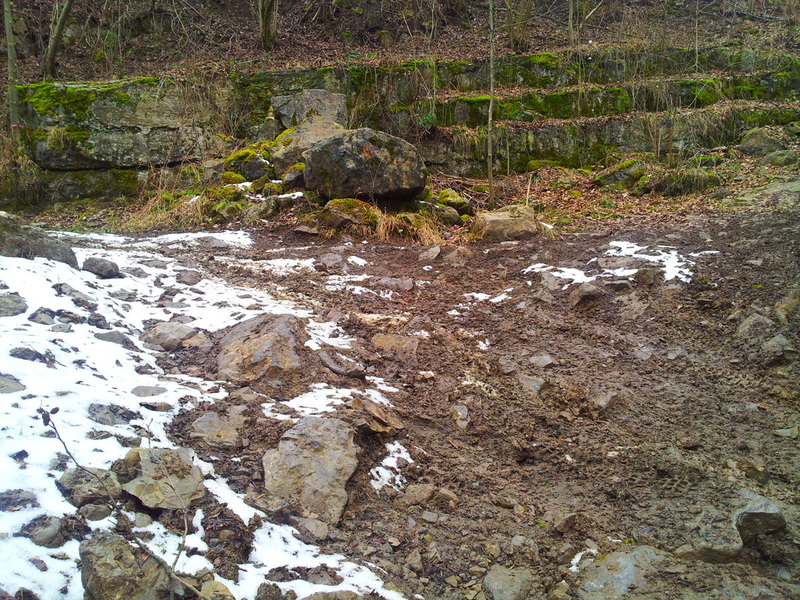 That pile of rocks at the base of the step wasnt there back in the day.